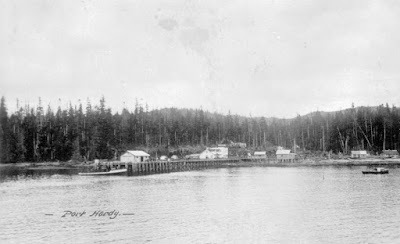 Old Port Hardy was located on the East side of Hardy Bay. 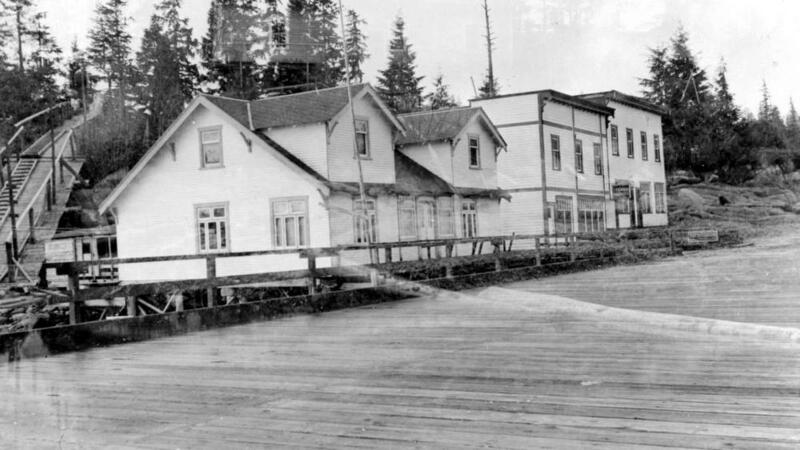 Here is a photo of the Lyon's store in 1905. Lyon's store in 1905. 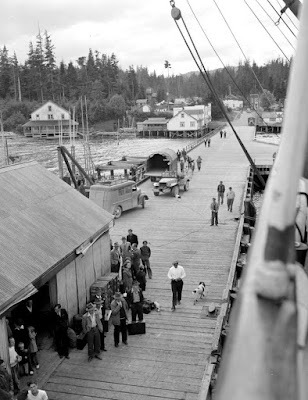 Photo shows Thomas P. Wicks on the wharf. Photo by H. Helmsing. 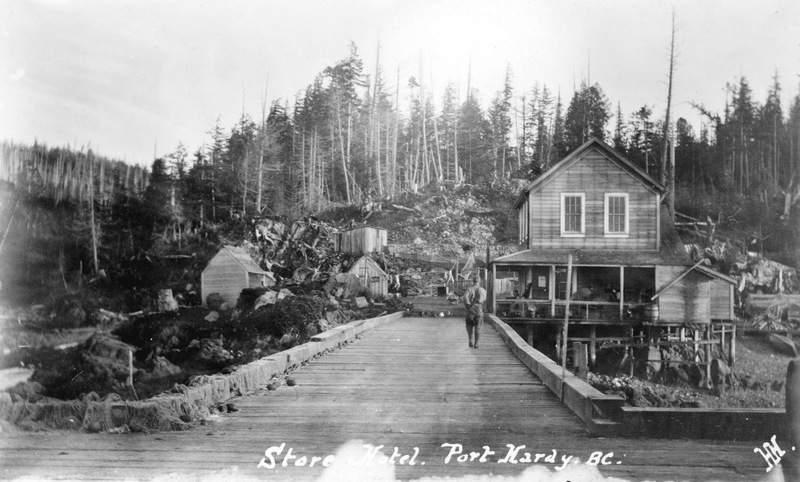 Old Port Hardy on the East side of Hardy Bay with the Lyon's store/hotel in 1907. Port Hardy in 1911. 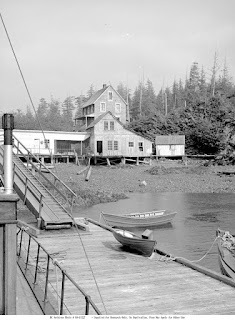 Photo by H. Helmsing. 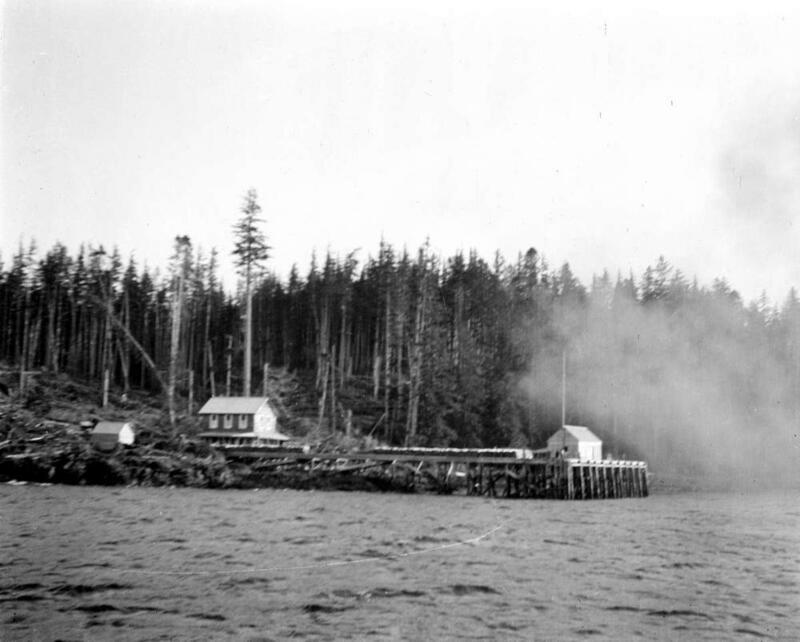 A bit more development in 1922. 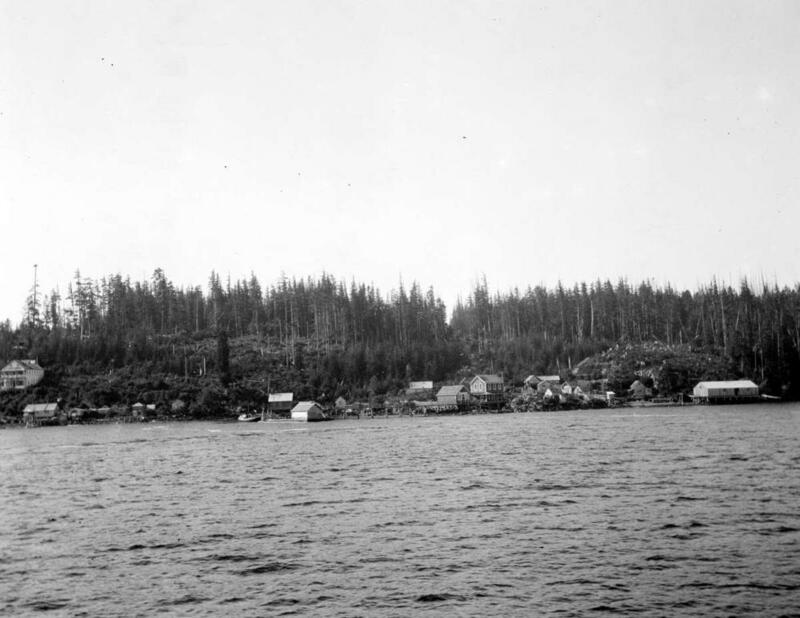 In the mid 1920s the community moved to its current location on the West side of the Bay. 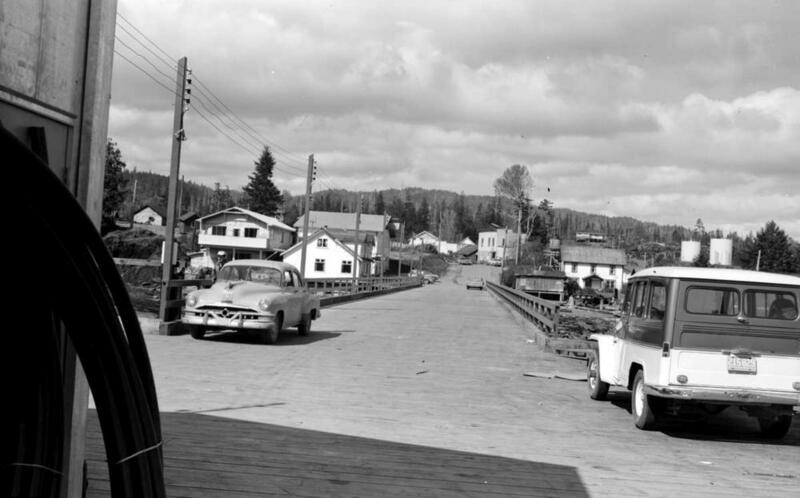 Originally the new community was called "Hardy Bay" to distinguish it from "Port Hardy." Over time the community gradually moved to the Hardy Bay settlement. 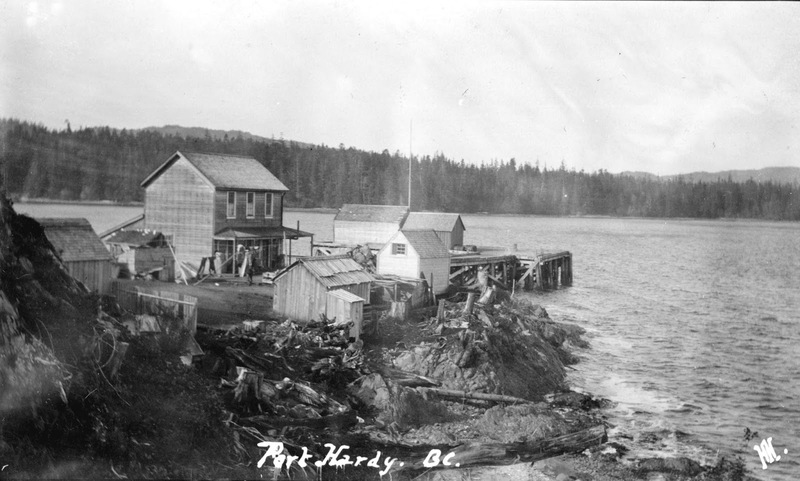 No one ever officially changed the post office name when the post office moved from Port Hardy to Hardy Bay, and eventually Hardy Bay took on the name Port Hardy. This photo of Hardy Bay is from the 1920s or early 1930s before the Cadwallader store was built. 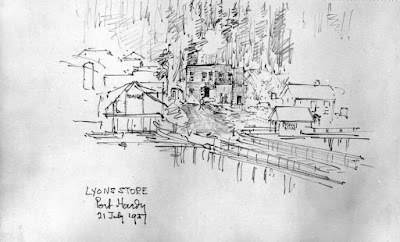 Sketch of Port Hardy by Lindley Crease in 1937. The building to the left of the wharf (the Hardy Bay Hotel) has a sign on it which says "Home Gas" and the Lyons store is up the street on the right side of the street with a "Store" sign on it. One of the smaller wharves in Hardy Bay in 1939. 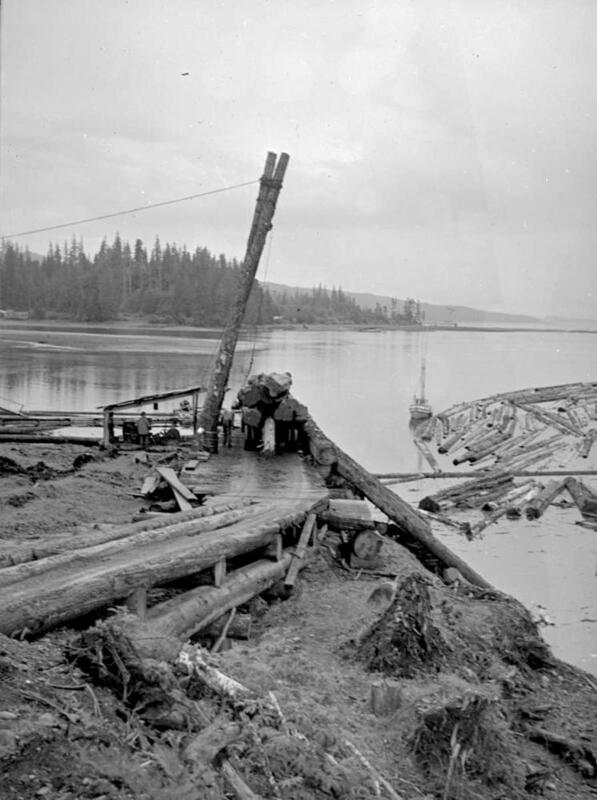 Log dump looking toward the area where Keltic Seafoods is today. Photo from 1939 by the BC Forest Service. Hardy Bay view from the Steamship in 1941. 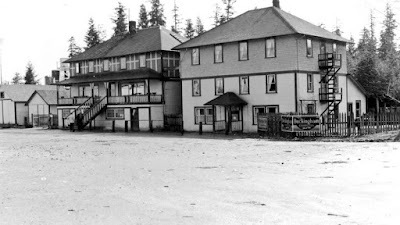 The Hardy Bay Hotel at the foot of the main wharf (eventually the Seagate). 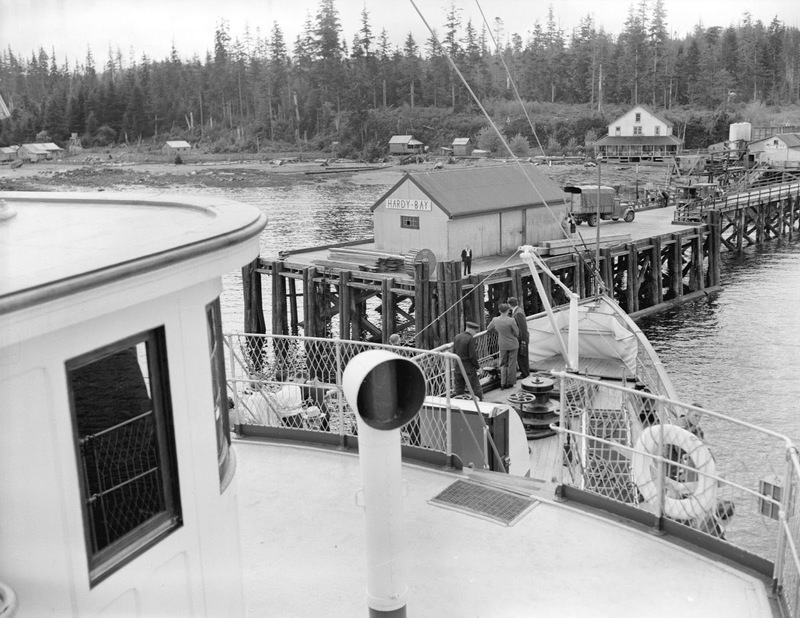 Photo from the 1940s. 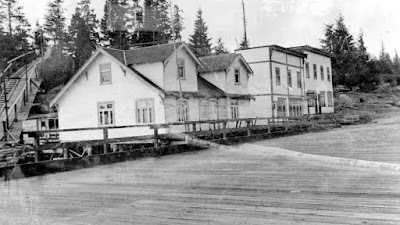 Looking down the wharf at the Hardy Bay Hotel. Sign says 'licensed premises'. 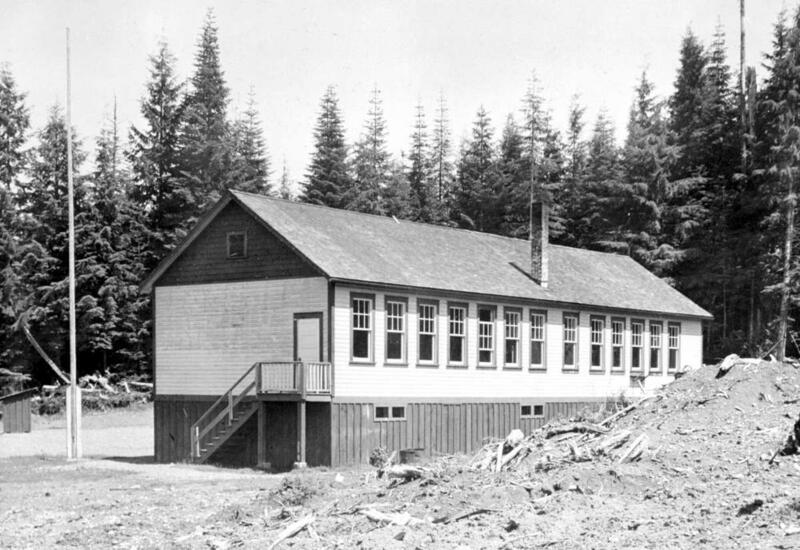 Photo from 1939. 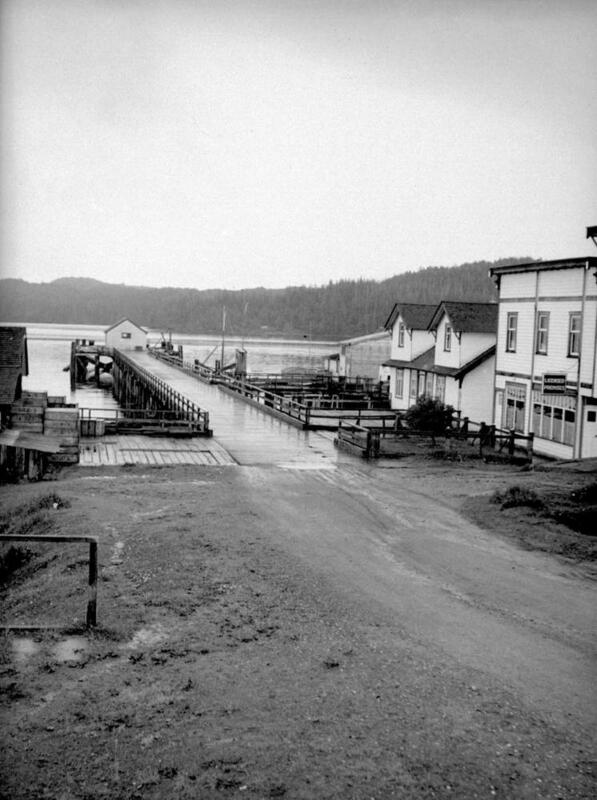 View up the hill from the Government Wharf, including a General Store (left). 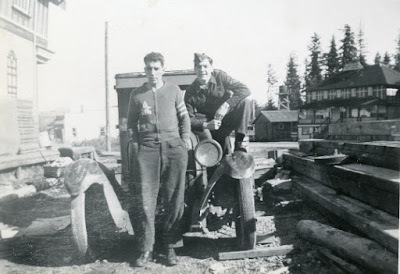 Date unidentified. 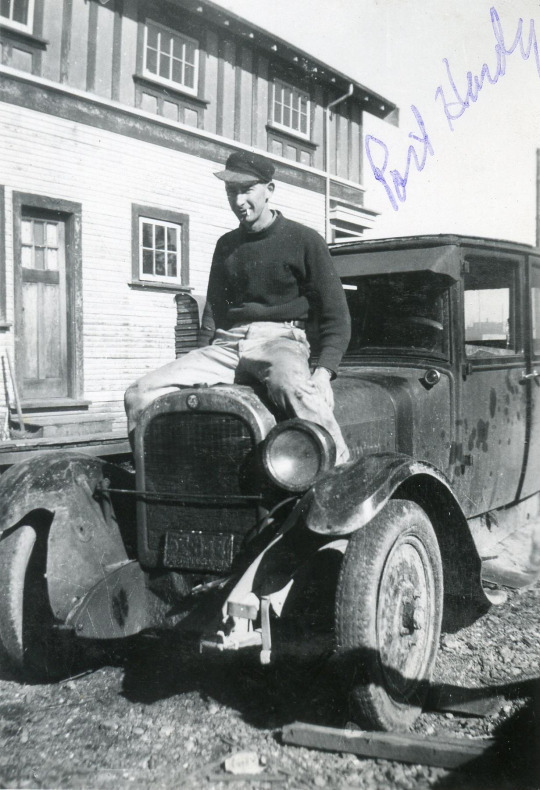 1939? The Port Hardy Hotel in the 1940s. RCAF airmen posing with an old car, photos presumably taken during WWII, with the Port Hardy Hotel in the background of the first photo. 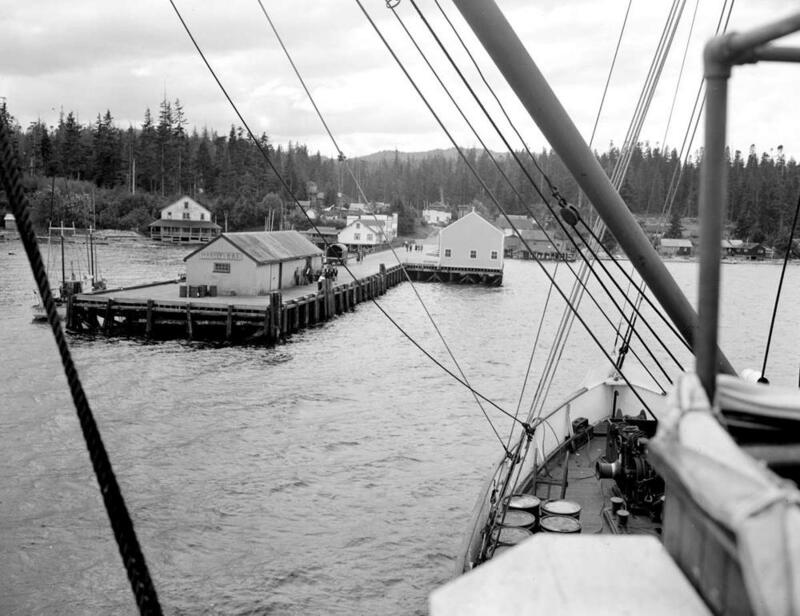 The Port Hardy main wharf (now the Seagate), in 1947. Presumably the people on the wharf are waiting to get onto the steamship. Coming into the Port Hardy wharf 1947. 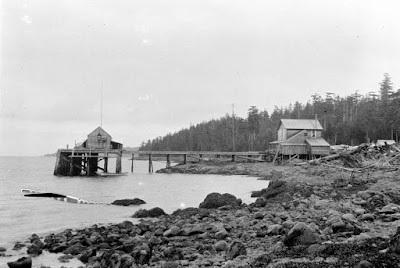 Cadwallader Store has been built along with a structure on the right side of the wharf. 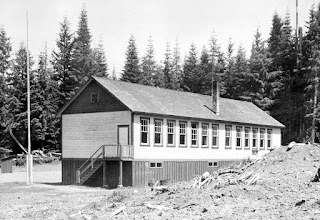 The Port Hardy primary school in 1962. 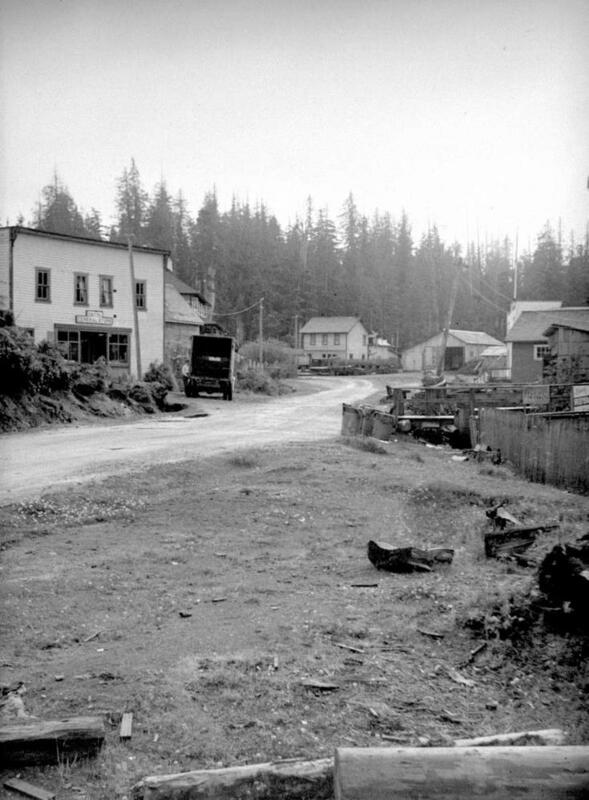 This building was eventually moved to the intersection of Byng Road and Beaver Harbour Road and became the Old Schoolhouse Store. 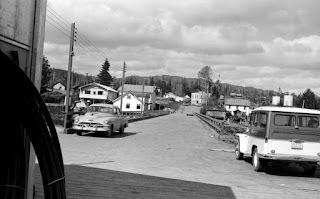 Photo from 1952. It was my grand parents, Alex and Sarah Lyon that ran the first general store and post office in Hardy Bay and continued their operations after the move across the bay. 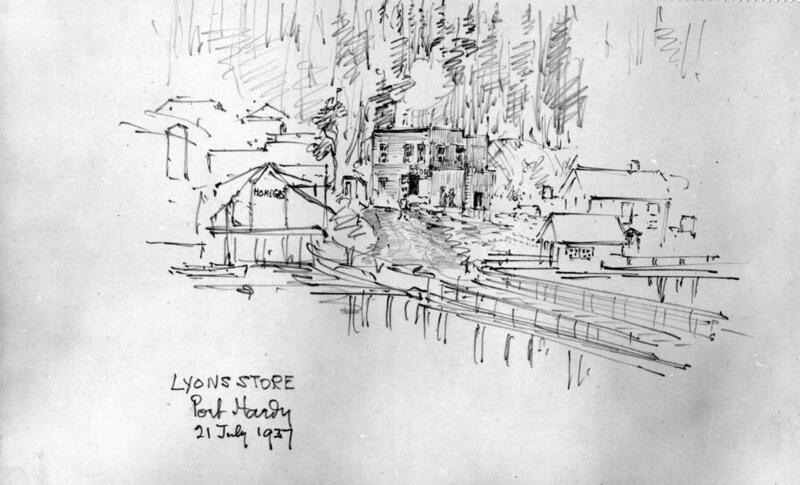 It would be more correct to say Lyon's store since their last name was Lyon rather than Lyons. Do you know where the store was exactly? 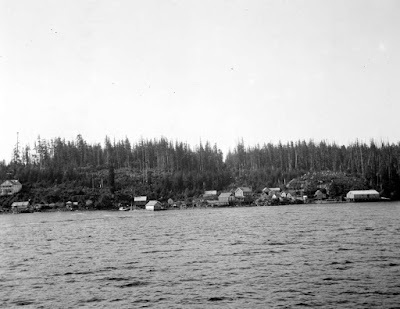 There is an old cement footing in Jensen cove as well as one just south of the marine harvest plant to the north.